House of the Great Gardener is one of the few marijuana seedbanks awarded with multiple cannabis cups. The House of the Great Gardener is proud to source with cannabis medical strains to patients of therapeutical marijuana, that benefit from their indica and sativa strains. 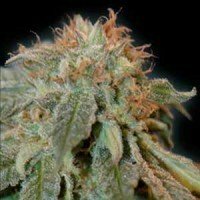 This american seedbank became popular thank thanks to strains like GG#1, and for their quality control that guarantees the highest medical seed quality. If you've tried other cannabis seedbanks, and you want to try new non-comercial lines, this is your category. Here you'll be able to choose between feminized seeds, and regular cannabis seeds. Barbara Bud regular marijuana seeds are one of the House of the Great Gardener strains that scored best prizes in cannabis cups. This Shishkaberry x Afghani cross, has the characteristic of a short flowering time of only 7 weeks, being a really easy to grow strain, with a fruity flavour that will like all growers. House of the Great Gardener presents their strain with highest CBD values, the CBD René. CBD René is a cross between René and Cannatonic, that delivers her a potent CBD, getting a THC to CBD ratio of 1:1. 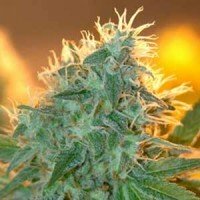 CBD René seeds produce female plants, that finish their flowering time in a maximum of 8 weeks, keeping the typical berry smell from René, and her characteristic popcorn shaped buds. 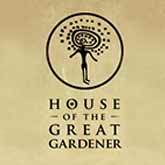 House of the Great Gardener Digweed is another of the strains from this seedbank that you should not let escape. 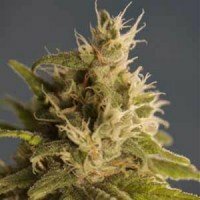 Digweed feminized seeds produce just female plants, being a cross between famous Sweet Tooth and a selected Afghani maleplant, that adds a better sidebranching, together with a quick flowering time, of really big and thick perfect buds. 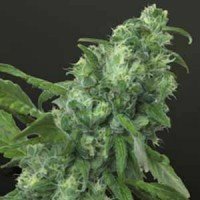 House of the Great Gardener Digweed regular is the regular seeds version (male or female) from its sister Digweed feminized. This is a cross between two legendary strains that you won't let go: Sweet Tooth x Afghani. Both parentals had been selected for its qualities, taste and effect, getting a cross based on a Sweet Tooth, but with increased side-branching, what gives her increased yields per crop. Digweed has a flowering time of 7 weeks, with perfect shaped big and resinous buds. The GG #1 strain (formerly known as Afghani) is a pure indica, and the best strain from House of the Great Gardener as a painkiller. GG#1 seeds produce easy to grow marijuana plants, that finish its bloom after 8 weeks, with a pine-tree structure. As all Afghani genetics strains, the yields from GG1 are high, with buds coated with high quality resin. GG#1 regular marijuana (formerly known as Afghani) is a pure indica strain, with the highest medical values, from the whole House of the Great Gardener catalogue. GG #1 regular seeds (male or female) produce easy to grow marijuana plants, with a flowering time of 8 weeks. GG1 structure is pine-tree structure, with big leaves, and a bud production loaded with high mecinal value against chronic pain. Haoma marijuana is an original House of the Great Gardener Award Wining Strain. This version, available in feminized seeds, produce female plants, with a furity aroma, and medium but heavy tight buds. Haoma is a hybrid, indica dominant, crossing between Purps and GG#1, that gives her a stronger structure. haoma finishes her flowering period after 7-8 weeks, depending on the phenotype. House of the Great Gardener Haoma regular seeds produce regular cannabis plants (male or female). Haoma is an indica-sativa hybrid, mainly an indica dominant, with medium sized buds, so thick and dense. This crossing Purps x GG#1 offers a better struture, and a quick flowering itme of 7-8 weeks, depending on each phenotype. 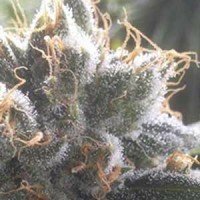 House of the Great Gardener Jean Guy seeds are one of the favoruite strains in Compassion Clubs along Canada. This sativa-indica hybrid, mostly sativa, is a cross that developes quickly, with a good side-branching, and huge buds. Jean Guy was the featured strain in the first New York Times marijuana ad.